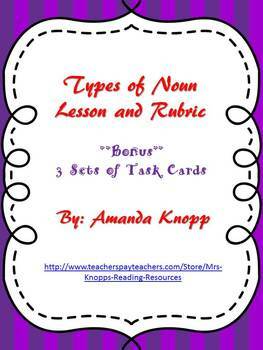 This includes a lesson plan and rubric to assess students comprehension of the four types of nouns. It assesses their knowledge of common, proper, possessive, and plural nouns. 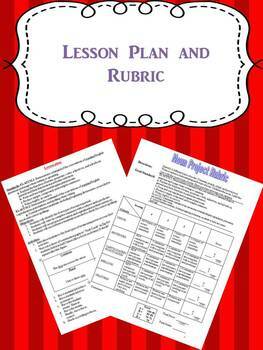 The lesson plan includes standards, objectives, and step by step instructions with a diagram. 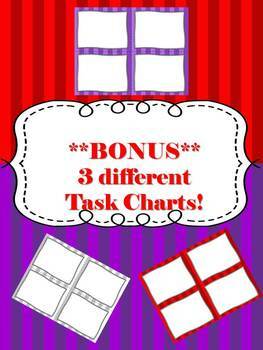 It also includes a set of 4 task cards (3 different colors grey, red, or purple) that you can use to do the project on if you choose to do so.